Christmas break is upon us! So take this week to create a holiday scene in Google Drawing. Make sure you select your grade level activity! 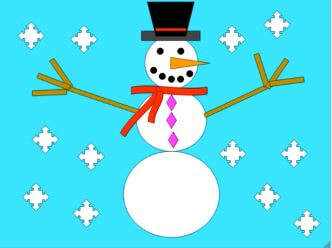 4th grade will make a snowman, and 5th a winter scene! Have fun and happy holidays! 3) Go the "new" and select "Google Drawing"
​5) Create your holiday scene!